I love finding stuff like this! In moving recently, I had to do some serious digging through EVERYTHING – way more intense than your average spring cleaning – and during this digging I found a bunch of old memorabilia. The bulk of it is all from Toronto except for one Florida Marlins pennant and mostly, the stuff is memorabilia of the Major League Baseball team in town – the Toronto Blue Jays. 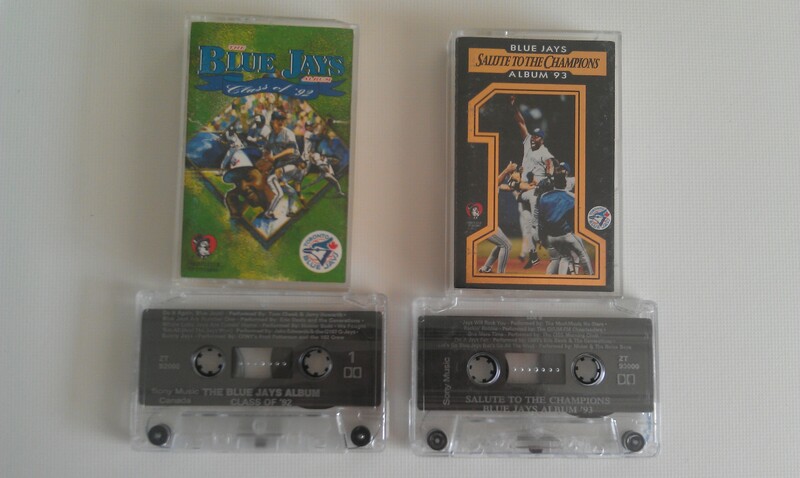 First, we have the picture above – when the Blue Jays won the World Series in 1992 and in 1993 each year they came out with tapes to celebrate the win. 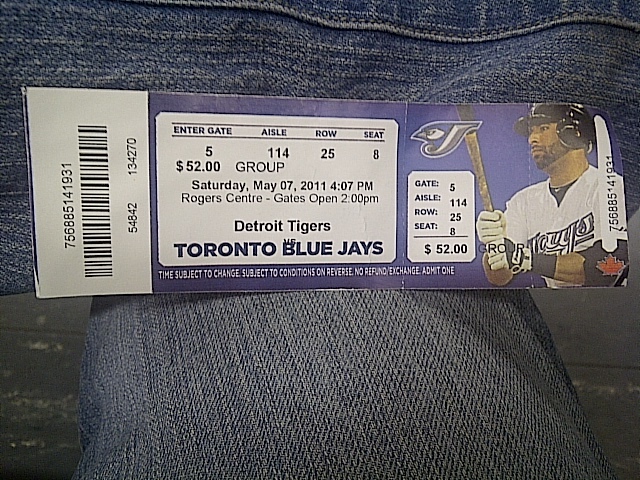 The tapes included parody songs like “Rockin’ Robbie” celebrating Roberto Alomar instead of “Rockin’ Robin” as the classic Bobby Day 1958 single is called.